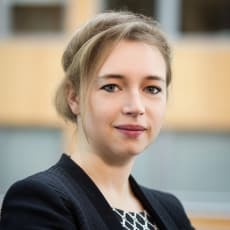 Florence is a member of Loyens & Loeff’s litigation and risk management practice group in Luxembourg. She advises clients on general commercial law and also represents clients in court and in alternative dispute resolution proceedings. She is a member of the Benelux food and beverages and healthcare and life sciences teams. Florence specialises in general commercial law, intellectual property, regulatory (including in the food and health and life sciences sector) and IT law (in particular, in privacy and data protection). Florence joined Loyens & Loeff in January 2015. She has been a member of the Brussels Bar since 2015.